George Clooney to wed in Armani, bride to wear Oscar de la Renta? The rumor mill is alive and well when it comes to the forthcoming wedding of George Clooney to Amal Alamuddin. The latest today comes from WWD who are reporting that the fashion is sorted for the big day, which is apparently scheduled for September 20th in Venice, Italy. We're hearing Clooney and his groomsmen will be wearing Giorgio Armani for the ceremony. When it comes to Amal, we don't have any bridesmaids info, but we are hearing that Miss Alamuddin is supposedly in discussion with Oscar de la Renta for her wedding dress. Can't think of a more perfect fit to celebrate the big day. Oh please, oh please, let the rumors be true. 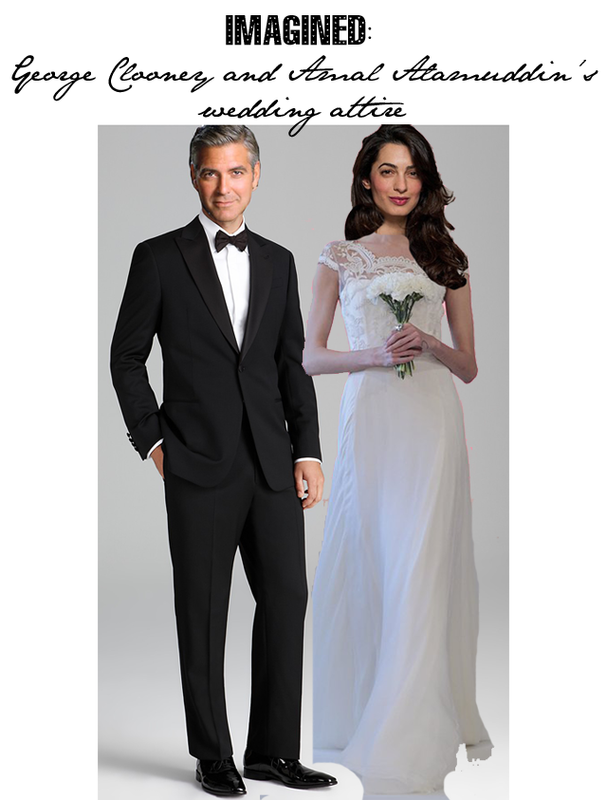 In honour of this news, I thought I'd put together an image featuring an Oscar de la Renta wedding gown that was a favorite from the recent season, and of course George Clooney in a classic Giorgio Armani tuxedo. It's the portrait before the official portrait. What a handsome couple!